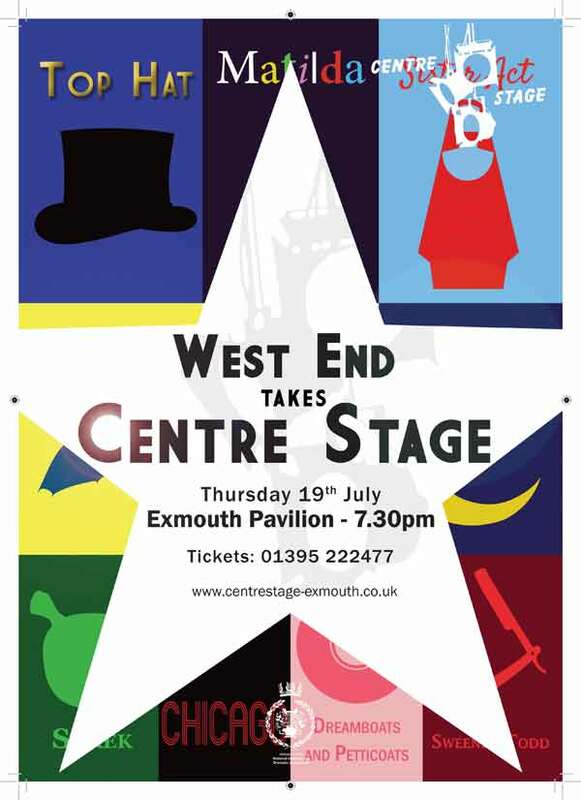 Last year Centre Stage took on the theatrical challenge that is Gilbert and Sullivan with their summer season of The Pirates of Penzance! They rose to the occasion, of course, and a fabulous time was had by all with a top class performance from these talented young people. This summer in complete contrast, (just in case audiences should be bored!) Centre Stage gives us a selection of the most up to date shows possible. Every musical number comes from a show currently running in London, hence the title West End Takes Centre Stage! There is something to please everyone in the programme …I Got Rhythm from Gershwin’s fabulous Crazy For You, toe- tapping magic with Irving Berlin’s Top Hat, fairy- tale fun from Shrek and the new American musical 13 about a group of teens and their problems! Throw in Sweeney Todd, stir in Sister Act, add Roald Dahl’s Matilda and there’s an evening made in West End heaven! Centre Stage seldom put a theatrical foot wrong and with these fabulous new musicals to stretch their talents, you are guaranteed to have an evening to enjoy and remember, even if it is still raining !